2 Bdrm 2nd flr Flat. Hall. Lounge. Dining kitch. 2 Bdrms. Bathrm (CT band - D). Parking. Price over £175,000 Entry by arr. Viewing Mrs Skulska 07852 285037. (EPC band - C). 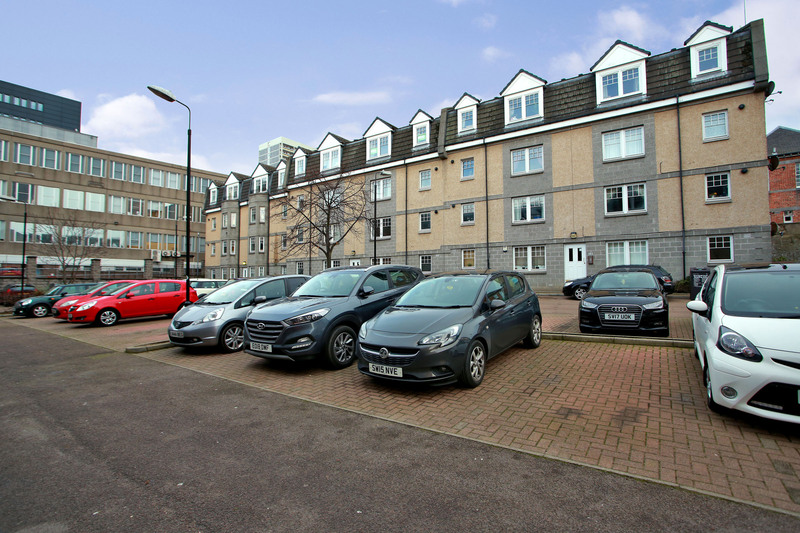 We are delighted to offer for sale this well presented TWO BEDROOM SECOND FLOOR FLAT forming part of a small, modern Development built by Barratt Homes in the early 1990’s and situated in the heart of the City Centre. 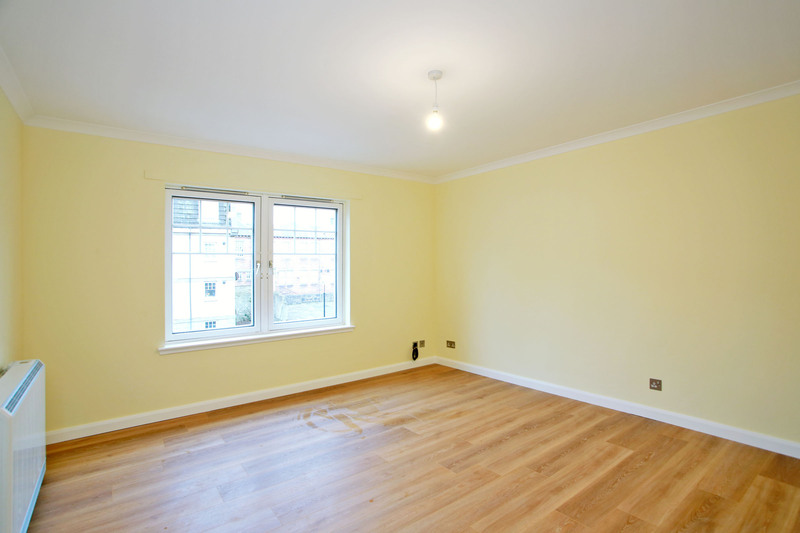 The property has been recently refurbished and is in excellent decorative order, fully double glazed with electric heating. 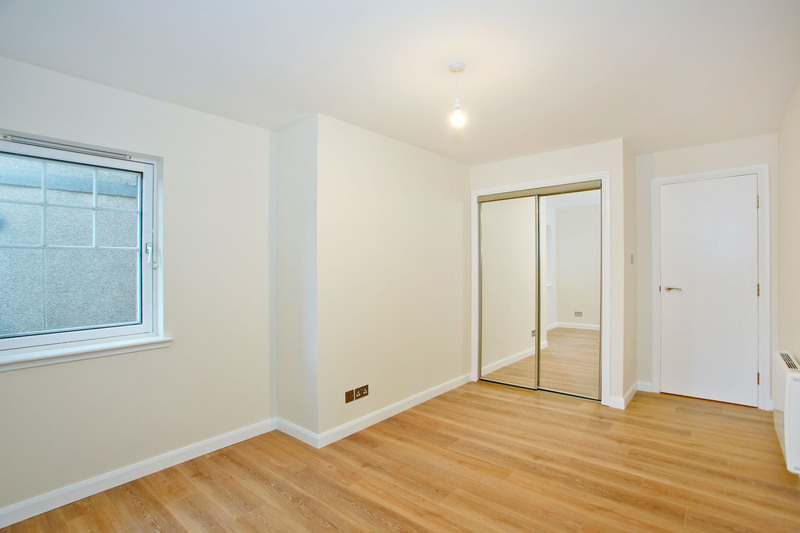 The décor is smart and modern in keeping with the design build and complimented by the choice of floor coverings. The accommodation comprises Entrance Hallway, bright and spacious Lounge with large front facing window, well appointed Dining Kitchen with a range of quality fixtures and appliances and ample space for a table and chairs, 2 good sized Double Bedrooms, both with rear facing windows and central Bathroom with a modern three piece white suite and over bath shower. All room sizes are generous. 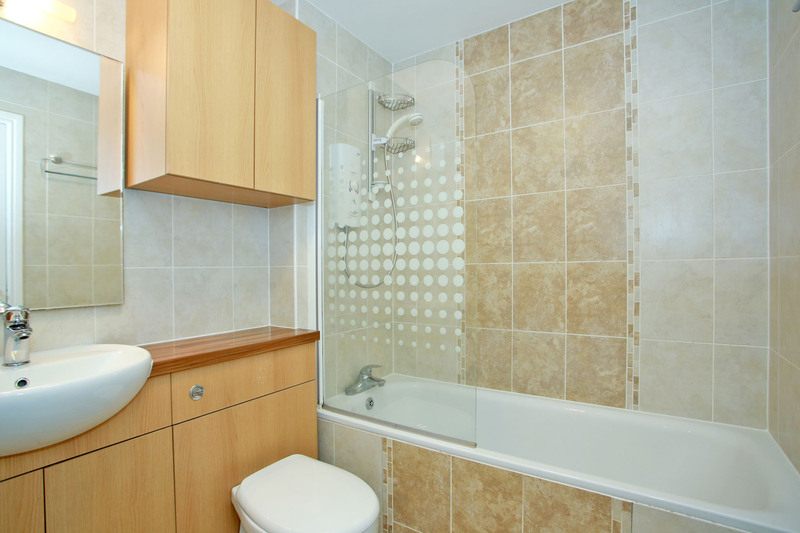 The property boasts good storage accommodation with built-in wardrobes in both Double Bedrooms and 2 cupboards in the Hall. 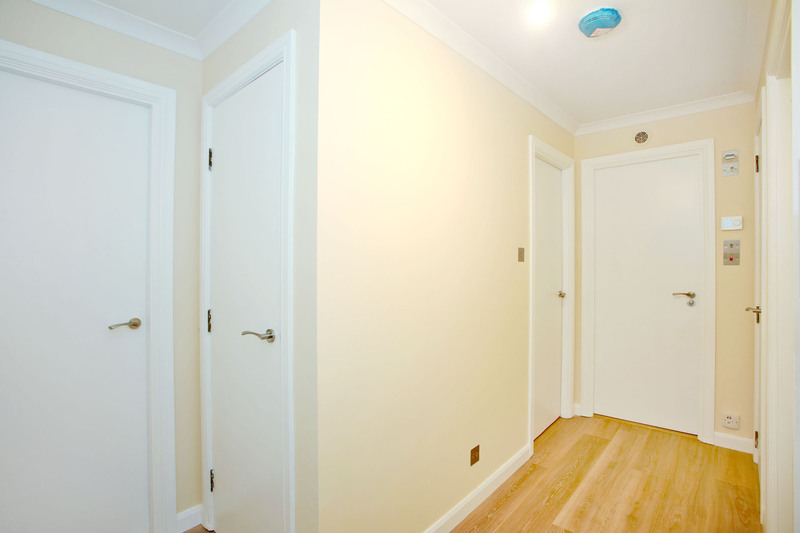 The Apartment Block is well maintained with carpeted internal hallways and stair lighting. Access to the building is monitored by a security entry system. There is a large Residents Car Park to the front protected by a barrier. All fitted floor coverings, curtains and blinds and some kitchen appliances (where listed) are included in the sale. Candlemakers Lane is situated in the heart of the City Centre near the entrance to the Bon-Accord Centre and John Lewis Department Store. 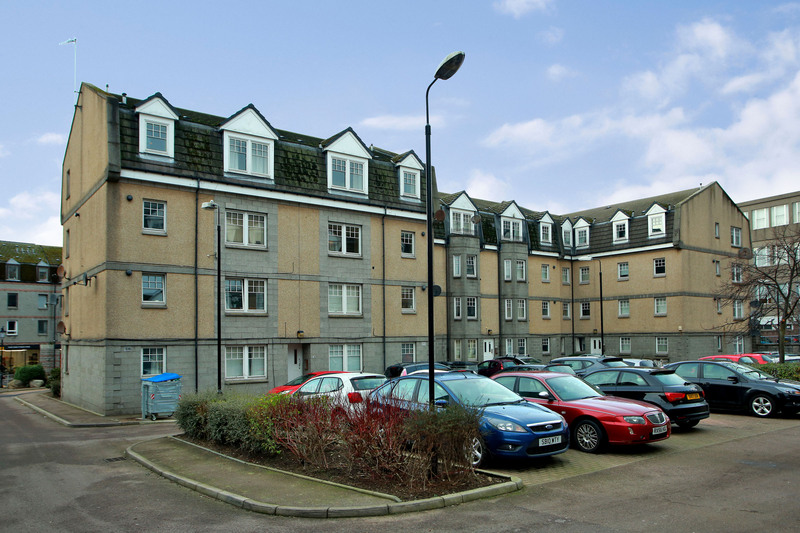 The location is ideal for access to both the Aberdeen and Robert Gordon University Campuses and the wide range of recreational and leisure facilities available within the City. 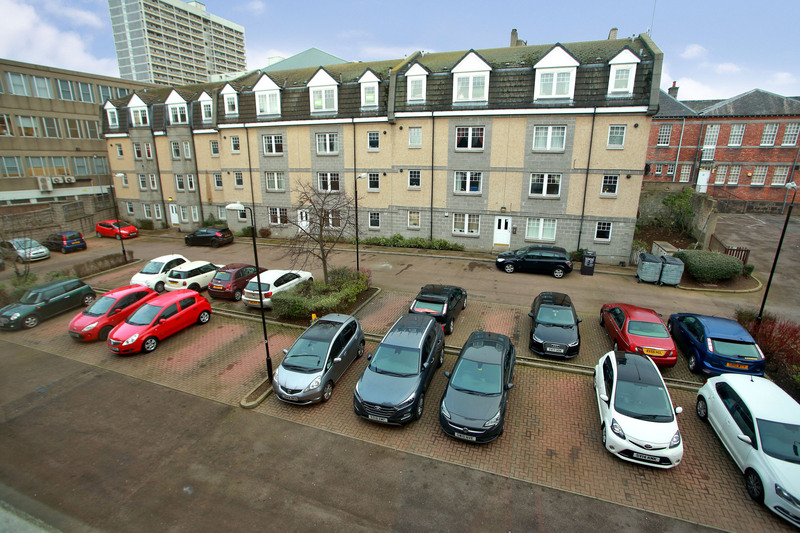 There are excellent public transport facilities nearby which make any area of Aberdeen easily accessible from the property. COMMUNAL ENTRANCE: Providing access to all flats. 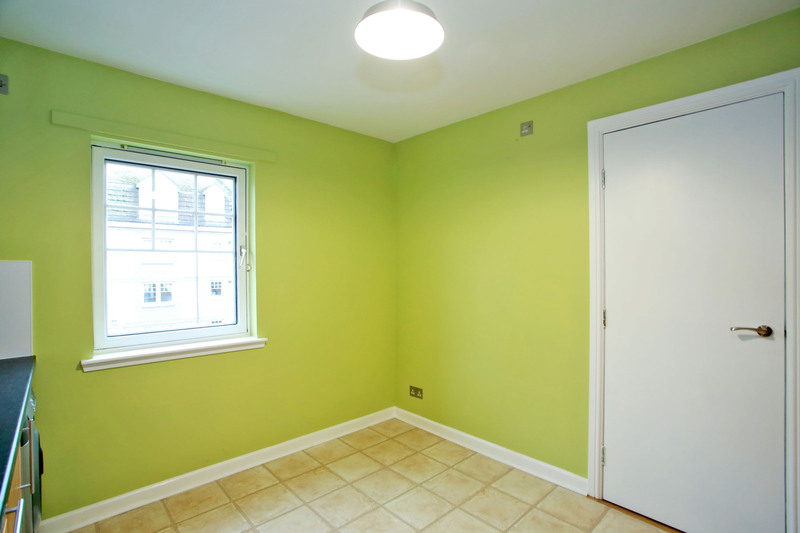 Well presented with carpeted internal hallways and stair lighting. Rear door. ENTRANCE HALLWAY: A welcoming L-shaped Entrance Hallway providing access to most rooms. Hardwood front door with security spy-hole and security chain. Ceiling cornice. Grain effect laminate flooring. Shelved linen cupboard. Further deep storage cupboard (partly shelved with light). Meter cupboard at low level. Electric heater. Security entry telephone. Telephone point. Power point. Ceiling spotlight track with 4 lights. Coat hooks. LOUNGE: (14’ x 13’ approx.) A bright and spacious “livingroom” with large front facing window (in 2 sections). Net screens and curtains. Grain effect laminate flooring. Ceiling cornice. Electric storage heater. Ample power points. TV aerial point. Ceiling light. Doors to Dining Kitchen and Hallway. DINING KITCHEN: (11’ x 9’9 approx.) A good sized “dining” kitchen with ample space for a dining table and chairs. 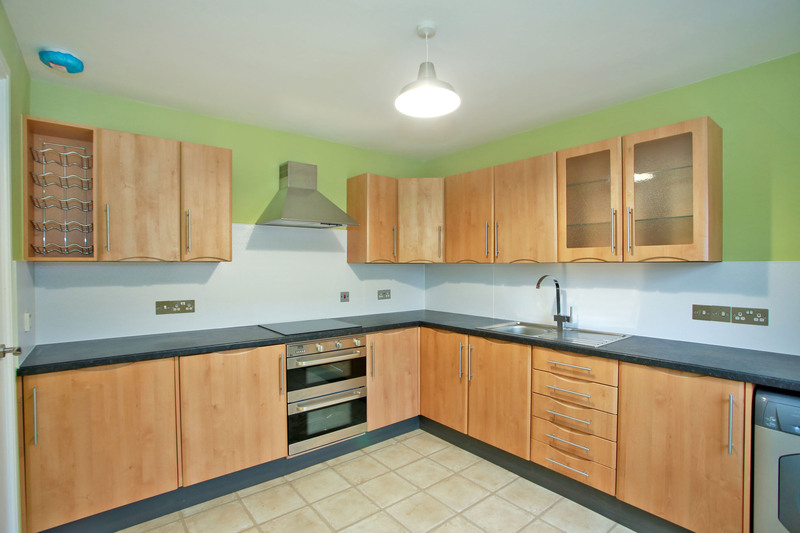 Fitted with a range of modern base and eye level storage units with white cabinets and matching roll-top work surfaces. 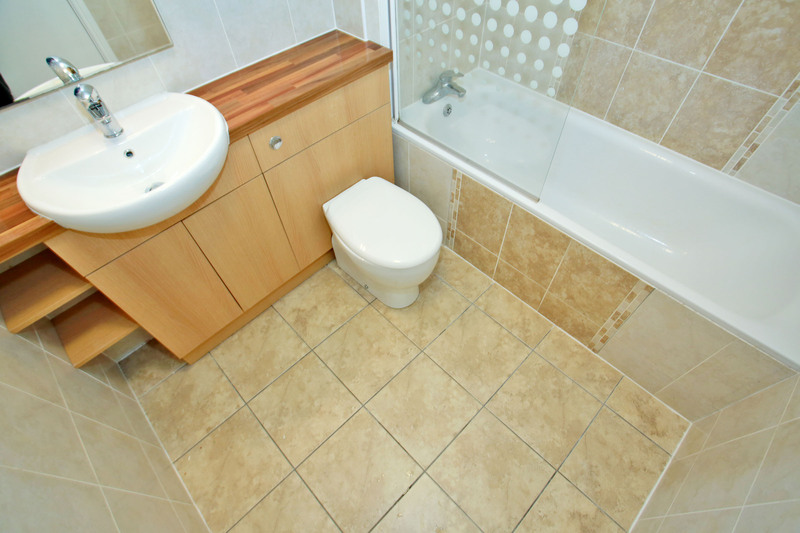 Ceramic tiles behind worktops. Modern stainless steel sink and drainer with mixer tap. Zanussi slot-in cooker with induction hob and double oven. Space and plumbing for washing machine and dishwasher. Space for upright fridge/freezer. Extractor fan. Ample power points. Vinyl floor covering. Ceiling light. DOUBLE BEDROOM 1: (15’ x 11’ approx (at longest and widest)). 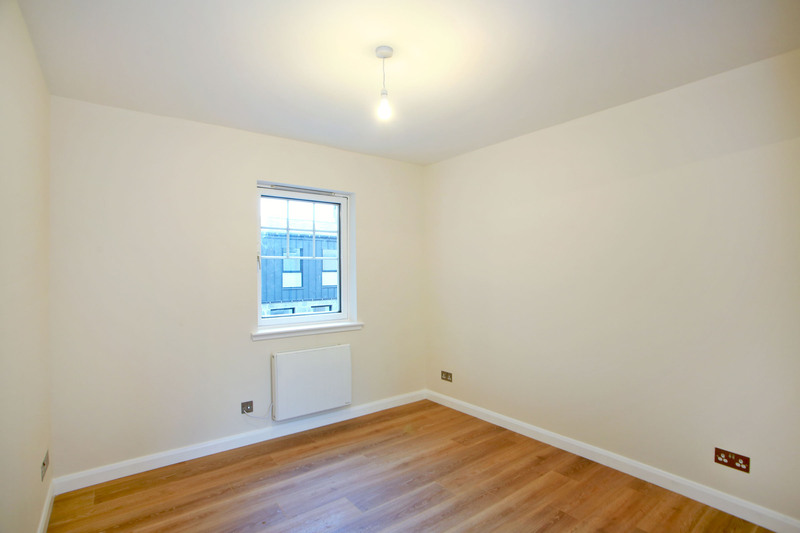 A good sized double bedroom with rear facing window. Window dressing. Grain effect laminate flooring. Built-in wardrobe with mirrored sliding doors providing considerable hanging and storage space. Electric heater. Ceiling spotlight track with 4 lights. Ample power points. 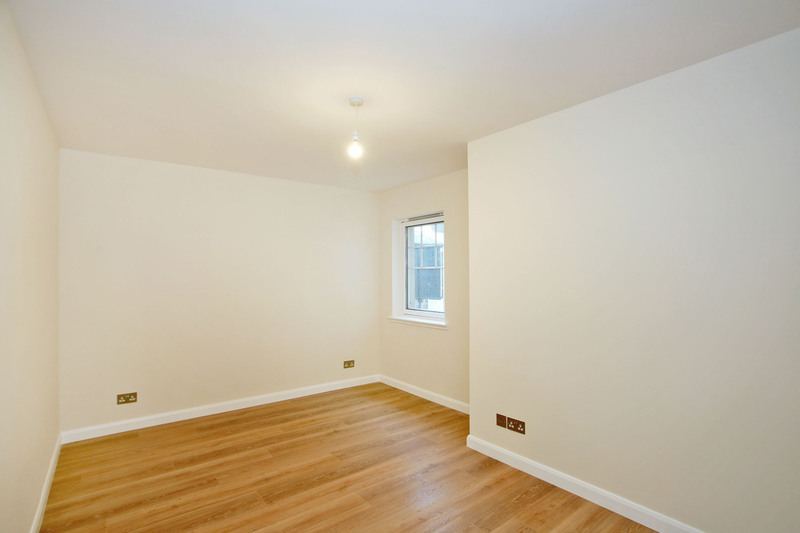 DOUBLE BEDROOM 2: (12’4’ x 9’9 approx) Another good sized double bedroom with rear facing window. Window dressing. 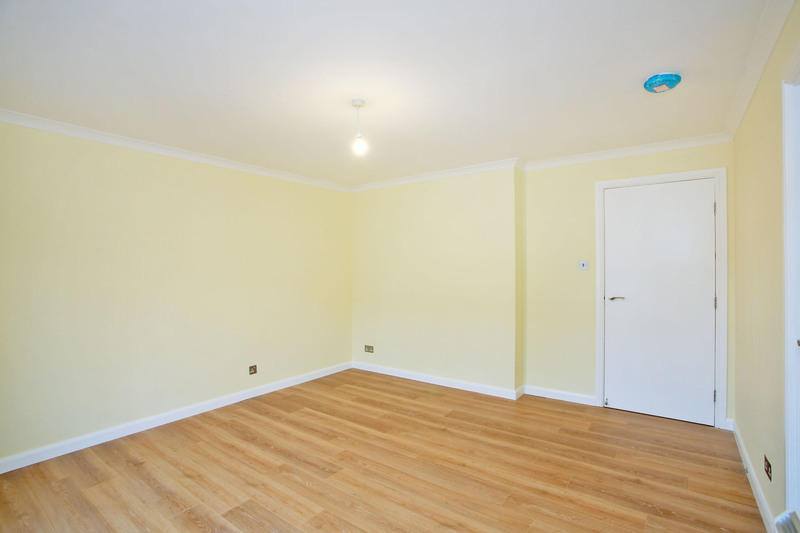 Grain effect laminate flooring. 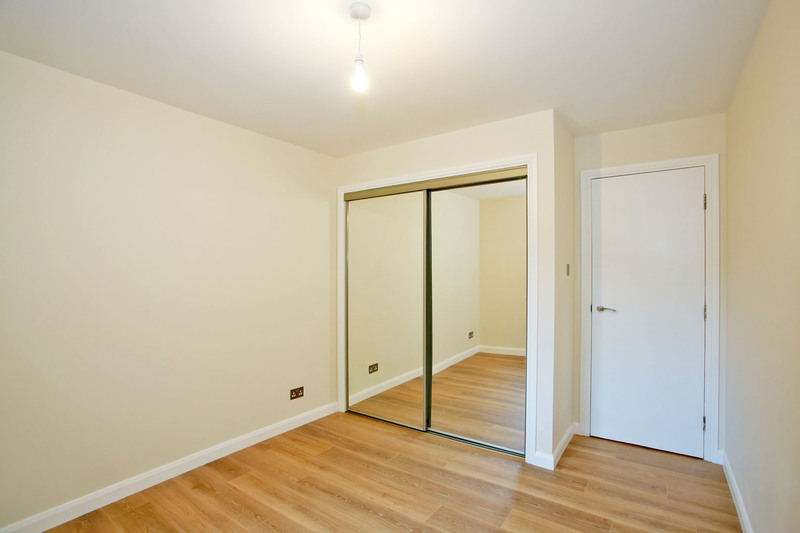 Built-in wardrobe with mirrored sliding doors providing considerable hanging and storage space. Electric heater. Ceiling light. Ample power points. 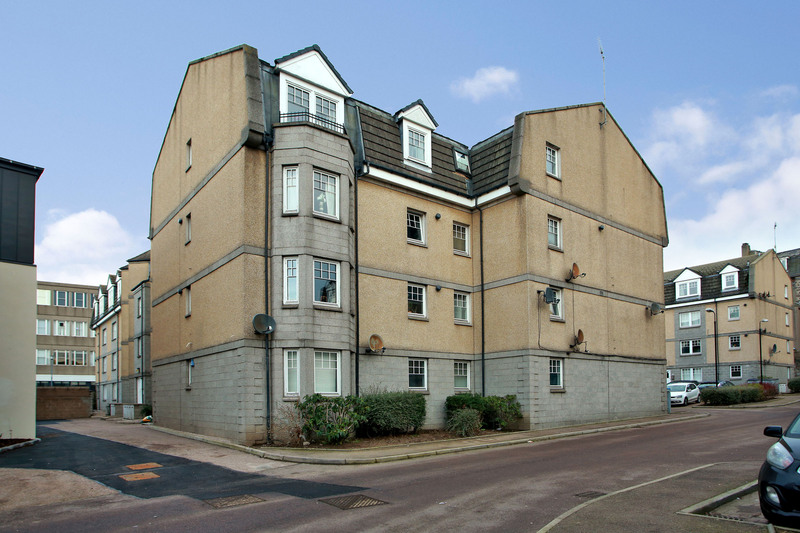 OUTSIDE: The landscaped grounds provide ample resident parking and along with the communal areas are maintained on Contract for a monthly fee. Access to the car park is controlled by a swipe card operated barrier. TRAVEL DIRECTIONS: Travelling along George Street from the rear of the Bon-Accord Centre take a first right into St Andrew Street and Candlemakers Lane is facing you as you come to the end of St Andrew Street. Number 52 is situated in the first Apartment Block on the left hand side.